About two weeks ago, a friend of mine in Seattle posted a glowing review of Imperfect Produce on Facebook. Over 20% of the produce grown in America never make it off the farm because it’s not perfect enough for grocery store standards. Imperfect Produce rescues fruits and vegetables deemed too weird looking, saving them from disposal and instead delivering them to your door, once a week or every other week, at prices lower than grocery stores’. What a smart idea! 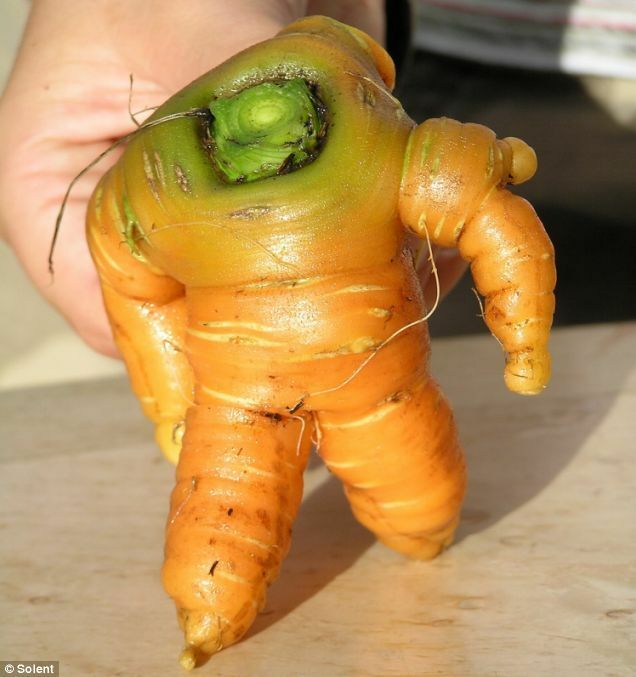 I love fresh produce, hate wasting food, and am curious what odd items I’ll get (fingers crossed for a Buzz Lightyear carrot!). Based on my friend’s post, I checked out the company, but was disheartened to discover that the service wasn’t yet available in the Indianapolis market – only Seattle, Portland, San Francisco, and Chicago at that point. But lo and behold! Just today I saw this clever Facebook remarketing ad announcing that Imperfect Produce will soon be coming to Indy! The ad even offered a 50% off promo code for the first shipment, so I wasted zero time signing up. I make a choice from the delivery options and get to the checkout process. On the page where I put in my credit card information, there’s no box for a promo code, as I expected. That’s usually where it is, right? I sure don’t see it. I accidentally got disconnected but persisted, soon chatting with, let’s call him Dave. “If you go to billing details and scroll down there should be a field that says ‘Redeem a coupon’ where you can enter it.” I’m still skeptical, but Dave continued guide me, assuring I wouldn’t be charged until after my first delivery. So I clicked that “Complete My Order” button. …Now you’re just messing with me. Dave very kindly added a note to my account that when the service launches in Indy in late April, I should get the discount on my first shipment. But I’m not the only one who ran into the issue. I commented on the Facebook ad and found at least one other person in my boat. The Marketing/Advertising team crafted an ad invoking the very familiar process of using a promo code… that turned out to not work at all. A simple chat with the Dev team, or some user testing, or even double checking/testing the signup process could have uncovered the inconsistency between what the ad says and what actually happens. …and the Support team got an unnecessarily higher case volume. Look at you, Indy, going toe-to-toe with the west coast! Isn’t it a big deal when a company expands from four to six cities? I’m not sure if the chat support is in-house or contracted, but shouldn’t everyone involved get that communication? Anyway, did this experience sour me on Imperfect Produce? Not at all. The idea is still wonderful, and my three company touch points were all very kind and helpful with this nitpicking marketer! I even posted the good news about the expansion to Indy on Nextdoor (where yet another person replied reporting the same promo code issue!) because this is the kind of company I want to be successful and keep spreading! In fact, here’s my referral link if you, too, want to combat unrealistic and wasteful beauty standards for fruits and veggies. I just wish this whole process had been a little less, well, imperfect. ← Should You Invest in Cupcakes?